In 2016, seven countries – Turkey, Brunei, Ethiopia, France, Hungary, Niger and Tunisia – used emergency laws that restricted religion within their borders. While the official justifications for these measures varied, Pew Research Center’s latest annual religious restrictions study finds that across the seven countries, Muslims, more than any other religious group, were specifically targeted by law enforcement and security services acting in accordance with emergency laws. This fact, along with others, helped place five of these seven countries among the 105 nations, globally, where government restrictions on religion rose in 2016. Religious restrictions, here, are defined in accordance with the Center’s annual Government Restrictions Index. The index is based on 20 indicators and uses a 10-point scale to rate countries as low, moderate, high or very high with regard to the overall level of religious restrictions. Overall, government restrictions rose in 105 of the 198 countries the report examined, including in five of the seven countries that declared states of emergency. Additionally, the number of countries with “high” or “very high” levels of restrictions rose to 28% of the total in 2016, up from 25% in 2015. Of the seven countries that used emergency laws to restrict religion, Tunisia registered one of the largest increases on the Government Restrictions Index – from 4.1 points in 2015 to 5.7 in 2016. The country declared a state of emergency following terrorist attacks by Islamic militants in 2015 at a beach resort and in the capital, Tunis. The government responded with curfews and arbitrary arrests, harassing men with beards – which many Muslims have for religious reasons – and women wearing Muslim religious clothing such as niqabs. In some cases, Muslims were reportedly detained and tortured. Ethiopia imposed an emergency law in October 2016, following deadly anti-government protests at a religious festival in the Oromiya region. Authorities arrested critics under anti-terrorism laws, limited organized opposition and detained Muslims who took part in nonviolent protests. That put Ethiopia into the category of countries with “high” levels of government restrictions in 2016. The French government, meanwhile, expanded the powers of the police in November 2015 in response to a string of attacks by Islamic terrorists that left 130 people dead. 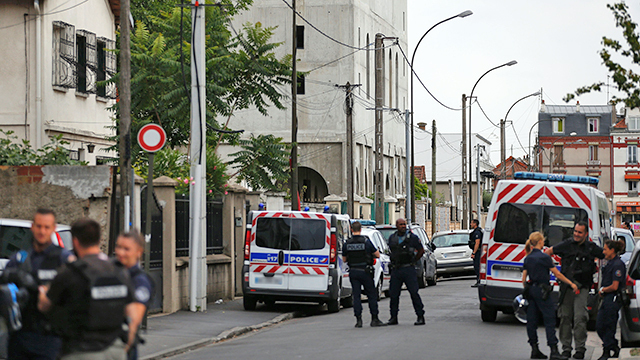 Under these emergency provisions, French police (as of July 2016) reportedly conducted almost 3,600 warrantless raids and placed 400 people under house arrest, actions that mainly targeted Muslims. France stood out as one of the few European countries to rank in the “high” category of restrictions in 2016; it had more incidents of government use of force against religious groups than any other country in Europe, and ranked in the top 10 globally by this measure. Muslims weren’t the only group targeted in 2016. Turkey used emergency laws enacted in the aftermath of the 2016 coup attempt to crack down on suspected dissidents and foreigners tied to Christian groups, like U.S. pastor Andrew Brunson. At the same time, President Recep Tayyip Erdogan blamed the coup attempt on self-exiled Muslim cleric Fethullah Gulen and detained thousands Gulen’s alleged followers. As a result, Turkey rated “very high” on level of restrictions as measured by the Center’s index.